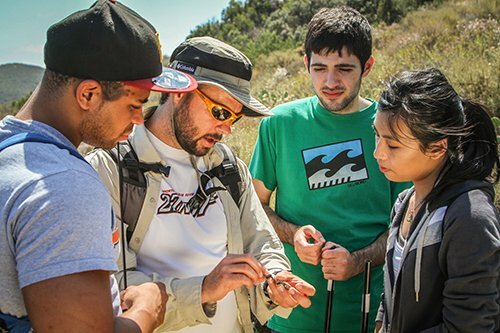 Cal Lutheran, which provides many opportunities for students to work closely with professors inside and outside the classroom, had a student-faculty ratio of 16-to-1, and the proportion of its classes that had fewer than 20 students increased to 59 percent. (THOUSAND OAKS, Calif. – Sept. 9, 2015) U.S. News & World Report ranked California Lutheran University among the top regional universities in the West for the 21st consecutive year. Cal Lutheran is ranked 16th in the top tier of 87 regional universities in 15 Western states. The field included universities that provide a full range of undergraduate majors and master’s degrees but few doctoral programs. The rankings were released today in U.S. News’ 2016 Best Colleges report. The Thousand Oaks-based university, which provides many opportunities for students to work closely with professors inside and outside the classroom, had a student-faculty ratio of 16-to-1, and the proportion of its classes that had fewer than 20 students increased to 59 percent. The proportion of classes with 50 or more students held steady at 1 percent. The report also considered the freshman retention rate, graduation rate, the university’s assessment by peers at other colleges, and the alumni giving rate. It looked at the academic qualifications of freshmen by factoring in the acceptance rate, the standardized test scores of freshmen and the proportion of freshmen in the top 25 percent of their high school class. Cal Lutheran ranked 14th among regional universities in the West in the U.S. News Best Colleges for Veterans list. The university has appeared in this ranking every year in its three-year history. The university made the U.S. News list of A-Plus Schools for B Students for the sixth year in a row, showing that admissions policies are flexible enough to allow some students who aren’t at the top of their classes to get in and that students can then go on to thrive during their undergraduate years. The latest rankings are posted at usnews.com and will be featured in the “Best Colleges 2016” guidebook that is available online and will hit newsstands Sept. 29. Cal Lutheran also made this year’s lists of Forbes’ America’s Top Colleges, Money’s Best Colleges, Washington Monthly’s Master’s Universities and PayScale’s College Salary Report. With an enrollment of about 4,200 students, Cal Lutheran offers undergraduate and graduate programs through its College of Arts and Sciences, School of Management, Graduate School of Education, Graduate School of Psychology and Pacific Lutheran Theological Seminary. It has additional locations in Woodland Hills, Westlake Village, Oxnard, Santa Maria and Berkeley.